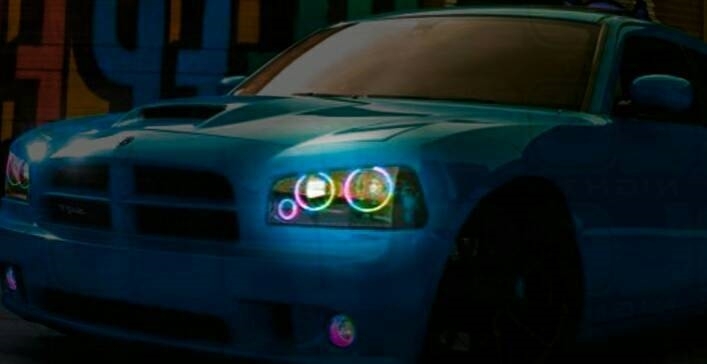 4x 06-10 Dodge Charger Black PCB RGBW + Chasing Halos Brilliant APP+ Chasing Halos. 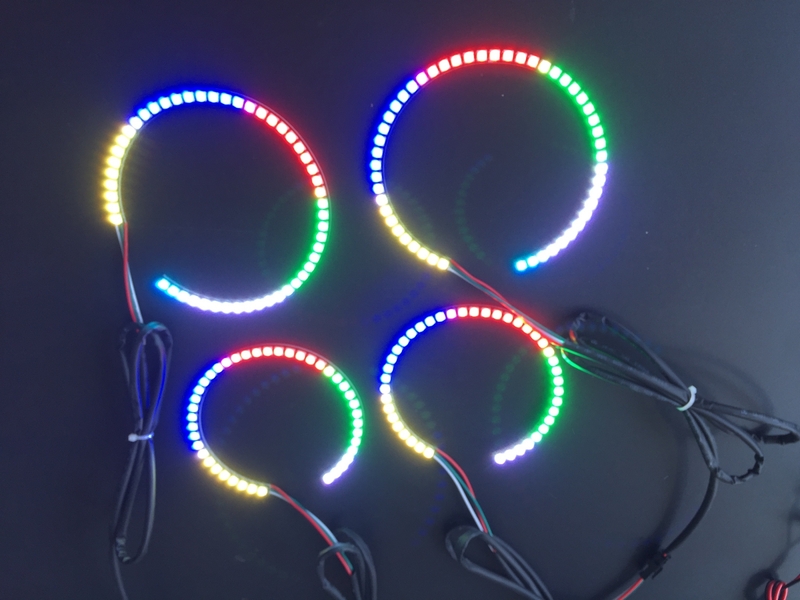 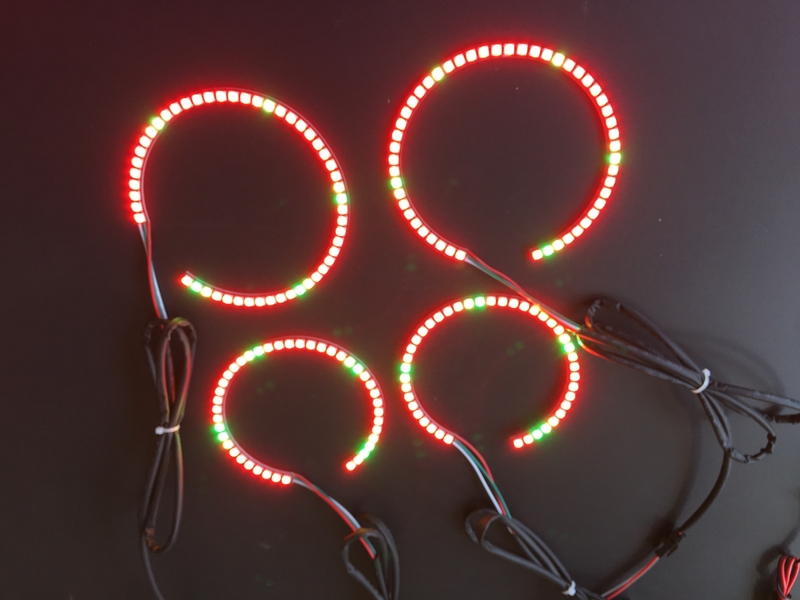 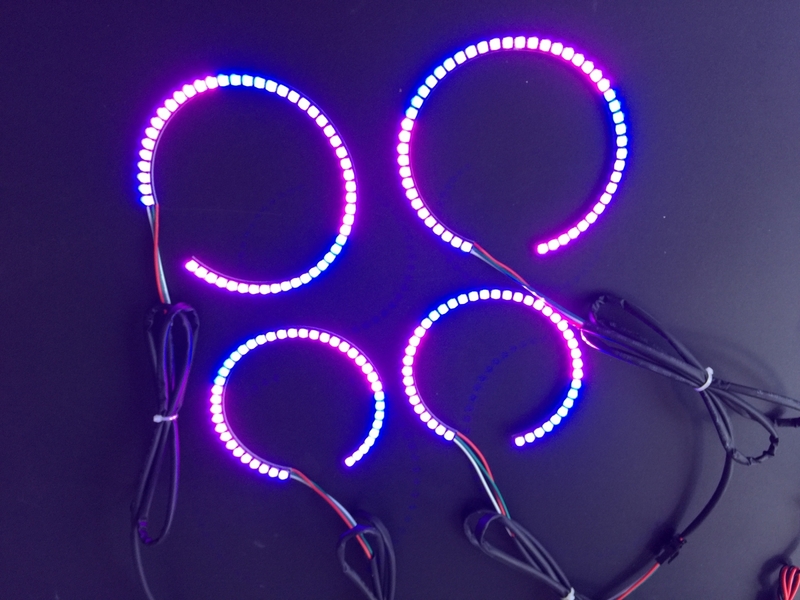 200 Chasing Patterns/ LED Bluetooth controller could show multicolored light. 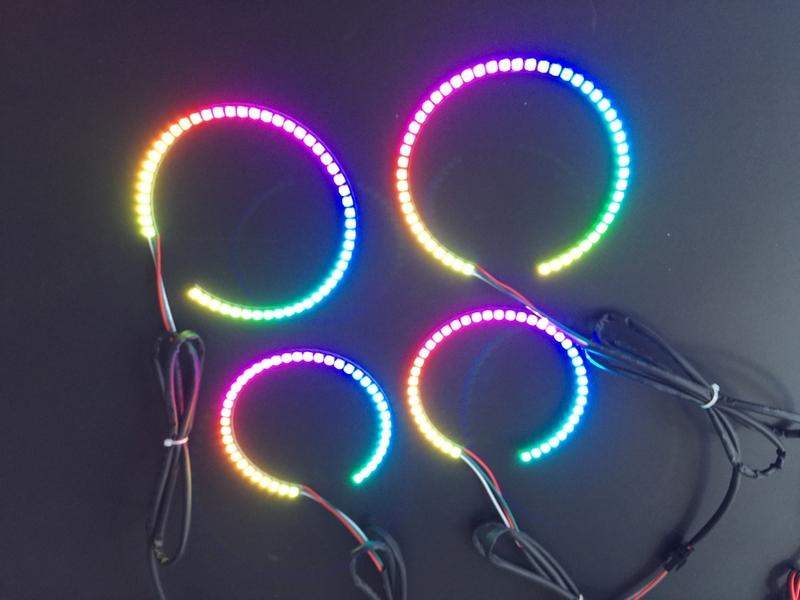 Flowing Brilliant Color with 10+ Static Colors including Red, Green, Blue, Yellow, Cyan, Violet, Orange, Pink, Spring Green, White, and MORE!